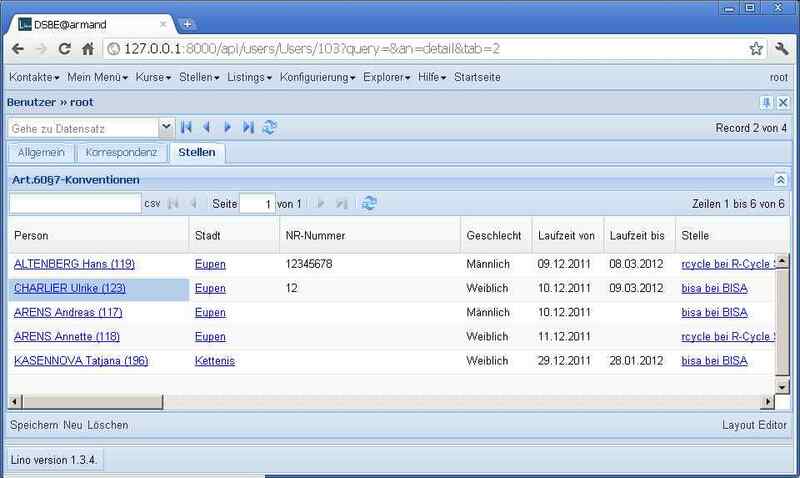 The screenshot shows fields city, national_id and gender from the Person of each Contract. Remote fields are always read-only. Another nice detail: ChoiceList fields always had a hard-coded default preferred_width of 20, which was too much for the Gender field, for example. New class attribute preferred_width which is automatically set to the maximum length of the choices texts (using default site language). Currently you cannot manually force it to a lower value than that. And it might guess wrong if the user language is not the default site language. Checkin (test suite dsbe passes, igen is waiting some work on the generated demo invoices).